The now TV app now looks more like the apps on other boxes and devices. It still only has on demand movies but this change makes me think it's prep work for the upcoming bt deal. Assuming you use the app, have you noticed any change in picture quality since the UI change or is it still very much in SD? June/July has been mentioned. Just not officially. The stream quality hasn't changed. Of all the things I've ever heard YouView called, 'sluggish' isn't one of them. I don't have Now TV, but in regard to other applications, the EPG is like greased lightning, all players download with no noticeable delay and Netflix has even managed to shave half a second. Which perhaps points to a Now TV issue? So comparing it against my NowTV apps on my LG tv and Apple TV I would conclude, navigating is fine but the thumbnails do take a little while to load, the LG tv app is new style and the thumbnails are instant, the Apple TV is very fast and thumbnails instant but is a very old style and looks and feels very dated. unfortunately I can’t test playing as I only have movies and don’t have any slots left for the three apps. Also just compared my T2000 and T4000 and the T2000 is slightly slower navigating but perfectly reasonable (the T4000 is quick) but both still take a bit to load thumbnails. After a quick look I’d say it’s a bit slicker on the nowtv box, with a smoother feel to the graphic transitions when navigating around. Sound effects give it a different feeling too. Still early days and maybe room for optimisations? 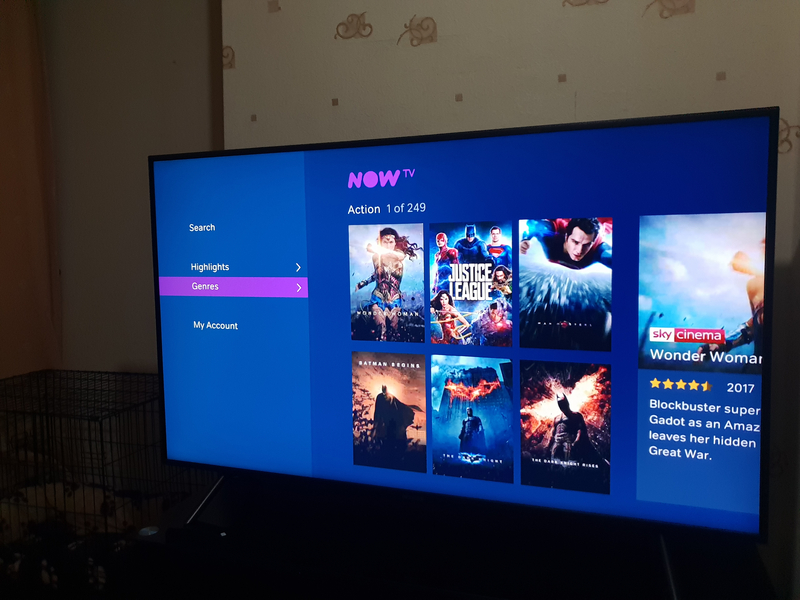 Having said that it’s ok on the retail T2000, just not quite as polished as the native nowtv box. More importantly I hope they give us HD soon, along with the full nowtv options. I don’t have Now TV so can’t comment on that but I do find all other apps on the Youview box seem to work well. Myjust over 4 year old Samsung full HD smart TV and my just under 5 year old Samsung full HD smart TV don’t seem to have the Now TV app. My sisters Apple TV 2nd Gen box has the Now TV app but she also don’t have Now TV. I don’t really have any problems with apps on the Youview box and the EPG also works very well. Im not sure if I will get Now TV when it comes to BT TV or not for the entertainment package. I have Netflix that I share the monthly cost with my sister for two screens plus HD. Also as of a few months ago now have Amazon Prime and my sister can watch Amazon Prime Video using my account on for Apple TV 2nd Gen box as her Youview T2000 1TB retail box that I got her just under 2 years ago still don’t have the Amazon Prime app. I noticed the same on retail BT DTR2110 as well, it seems noticeably more laggy navigating around than both the old version and the similarly-designed full-fat now tv app on my roku stick.